Structural Engineer: Lavergne Draward & Associates Inc. Mechanical Engineer: G.D. Stasynec & Associates Ltd.
Electrical Engineer: Nova 3 Engineering Ltd. 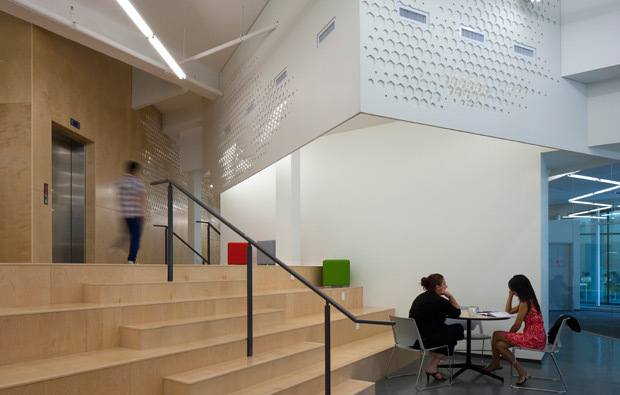 The project provides arrival services to new immigrants in a revitalized heritage building. 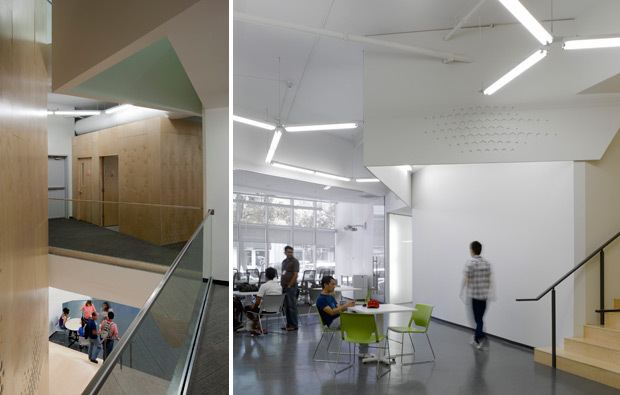 The organizational and programmatic complexity is artfully composed to accommodate a range of functions that are dispersed at varying levels through an open space plan that is disciplined yet playful. There is a clear relationship between plan, section and elevation that is revealed through a delightful play of patterns, shapes and materiality. 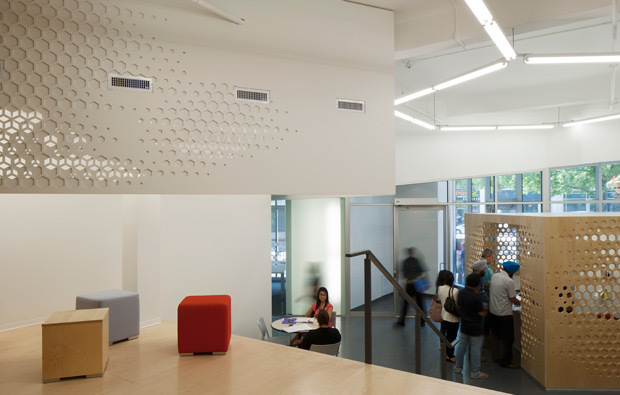 Hexagonal patterns, generated by two overlapping building grids, are subtly integrated at a variety of scales, textures, volumes and lighting arrangements. In addition to exhibiting an economy of means, the project is both purposeful and transformative.